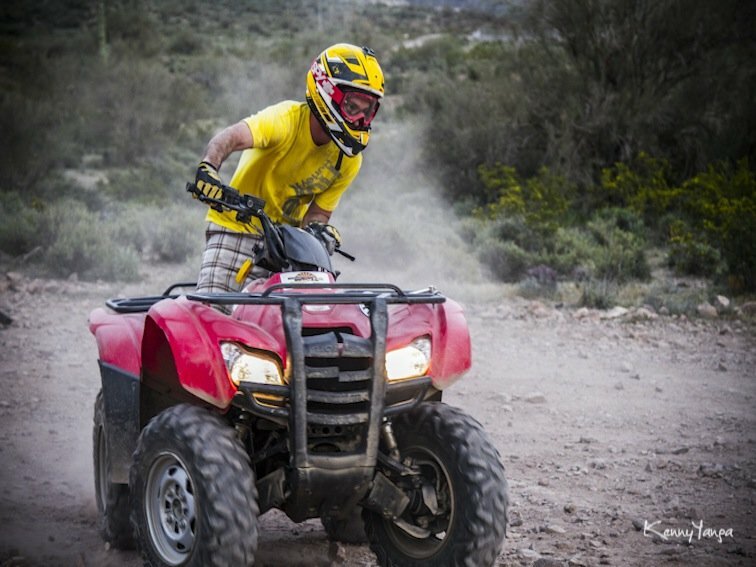 ATV Tour in the Desert w/ Arizona Outdoor Fun! The weather had been perfect that day to go an ATV tour in the desert. The sun was embracing the Sonoran Desert as if a mother had embraced her child but just gentle enough to throw a few clouds in there helping to prevent a major sunburn. 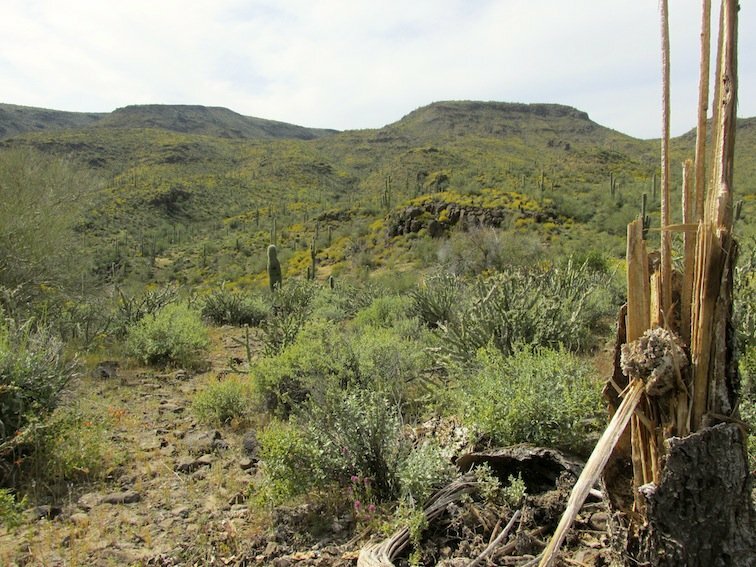 As the crew & I made our way down the long dusty road, we glanced out the windows to see the occasional group of cattle grazing off of what I guessed were the thistles growing off the cactus…how in the hell do cattle survive in the desert? Who knew & quite honestly I didn’t really care as I was amped up about this press trip that was lined up with Arizona Outdoor Fun. ATVing through the desert…experiencing the landscape…the history of the area and of course the thrill of bombing down these trails; that’s what I was looking forward to! Inside view of the Indian Ruins. After effectively getting lost for about half an hour (as I mentioned before I’m horrible with directions! 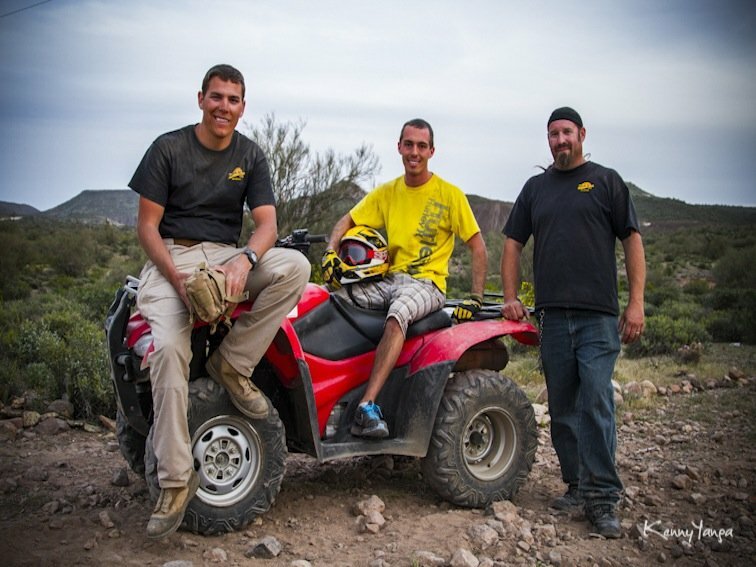 ), we pulled up to the meeting site and jumped out to meet our guides, Jacob & Daniel. Filling out the liability forms & getting a quick but thorough rundown of how to properly operate the machines, we left the site behind and began driving down the dirt road towards the main trails. The pace was set at a mild speed until we got used to the machines…but once we figured out how to operate them, we were off! Moving with agility through the grooves in the trail, I felt at one with the terrain as we climbed over the mountains zipping past cacti of many assortments and even passing through a small creek. Exciting stuff! About 30 minutes or so in, we pulled off to the side of the trail so that everyone could regroup. 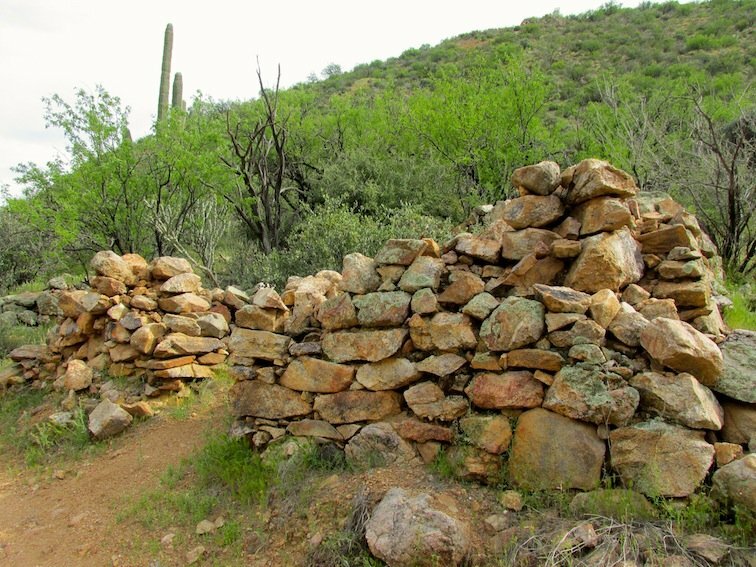 Cutting the engines and allowing my heart to stop racing, I listened to Daniel talk as he began to explain that we were sitting right next to the ruins of an old Indian Tribal Hut built up of several large rocks. The film crew: Myself, Kile & Kenny. Climbing into the center of the abandoned ruins, Daniel proceeded to tell us a little of the history as well as some facts about the flora & fauna in the area. I was shocked to learn how knowledgeable our guides were. Being the one that asks many questions, he answered them all flawlessly. 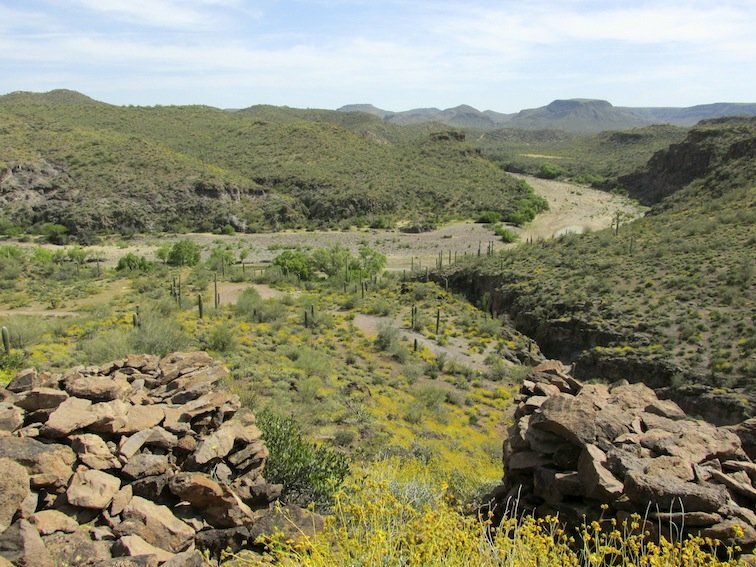 View of the dry Riverbed from the Ruins. 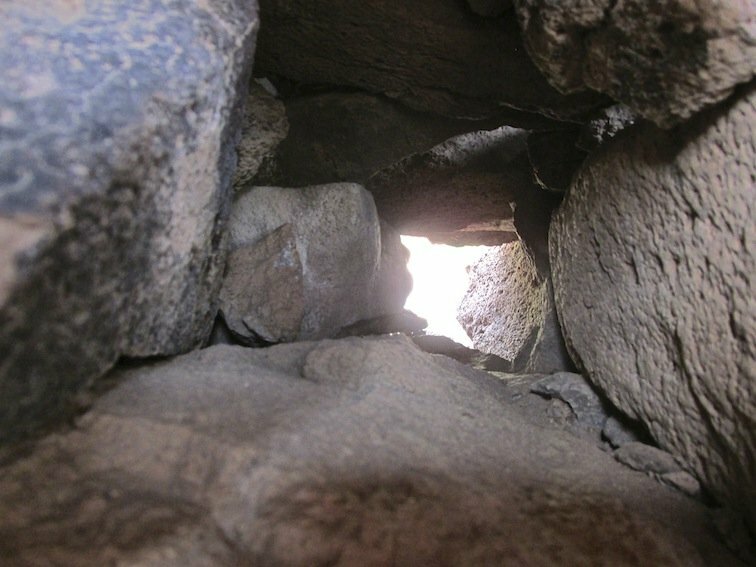 A peek down the hole where they would launch arrows at their enemies. After hopping around and taking a few more photos of the site, we retreated from our nice little break to jump back on the ATV’s and make our way down the trail; further into the vast desert. The scenery was breathtaking. Full of what seemed to be millions of plants and the occasional animal jetting across the trail in search of shelter from our rampaging machines. Dead Saguaro Cactus next to the Indian Ruins. Passing through some abandoned coal mine locations, you could see the switchbacks carved into the land that led to many entrances going into the mountain. It felt like we had stepped back in time to the days when the ‘good ole boys’ were mining these hills. Driving up a particularly rugged and steeper portion of the, we came to a stop at the top. 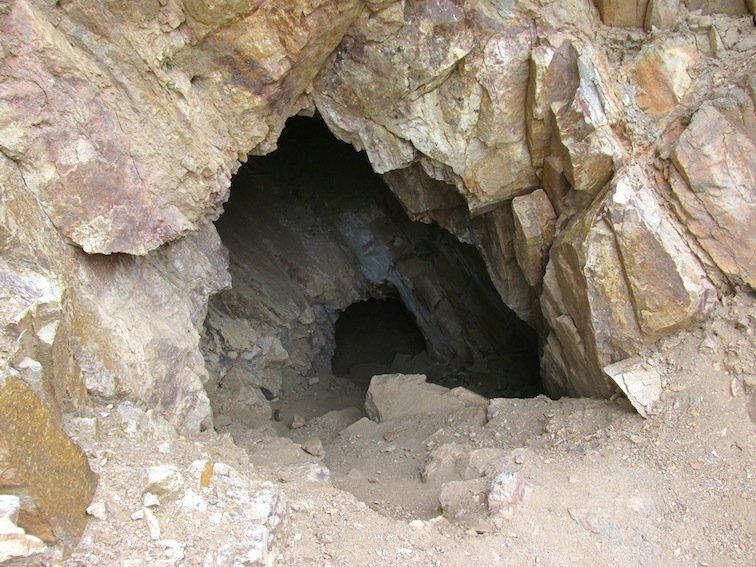 Receiving another unexpected yet welcoming history lesson from our guide, we began to hike about 25 yards or so towards the mouth of one of these mines. Looking down inside and watching our step carefully, he began to tell us how the miners used to survive in the area regardless of the extreme environment they lived in. I’m not going to lie, the facts of living back in the day were pretty intense. Compared to the modern accommodations we are all so used to, these guys lived off the land and with bare essentials. Must have been extremely rough to be in those shoes. Many of them men lived, worked & died in this one location. After spending a bit more time exploring, we made our way back to the ATV’s where we set the course for home. 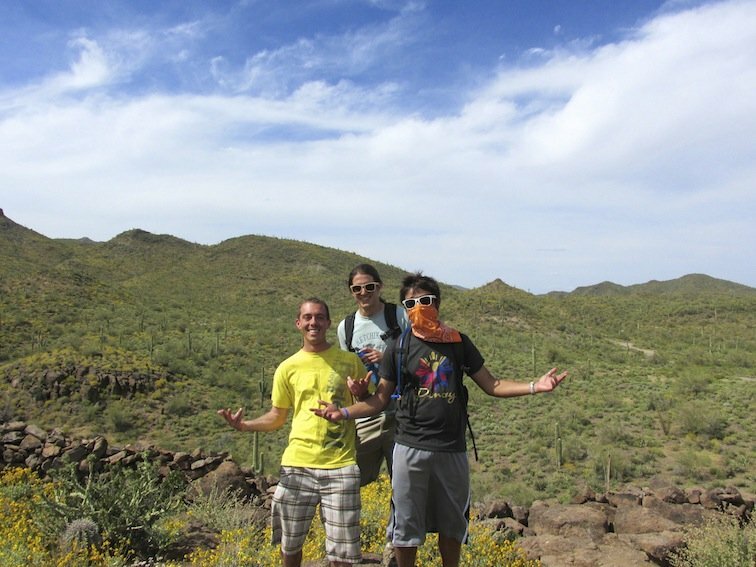 Posing with our guides Jacob & Daniel at Arizona Outdoor Fun. The ride back was pretty much one straight shot that went by twice as fast as it had taken us to get out there. I really enjoyed my time out there and after talking to the owner of the company, I couldn’t have asked for better guides on our entire excursion. They had the perfect combination of both fun & educational. If there was one last thing I could tell you about them, it’s this: I have been on many excursions & trips around the world but these two, Jacob & Daniel provided the best tour I’ve had in years. There really isn’t a better ATV desert tour to go on than this one. 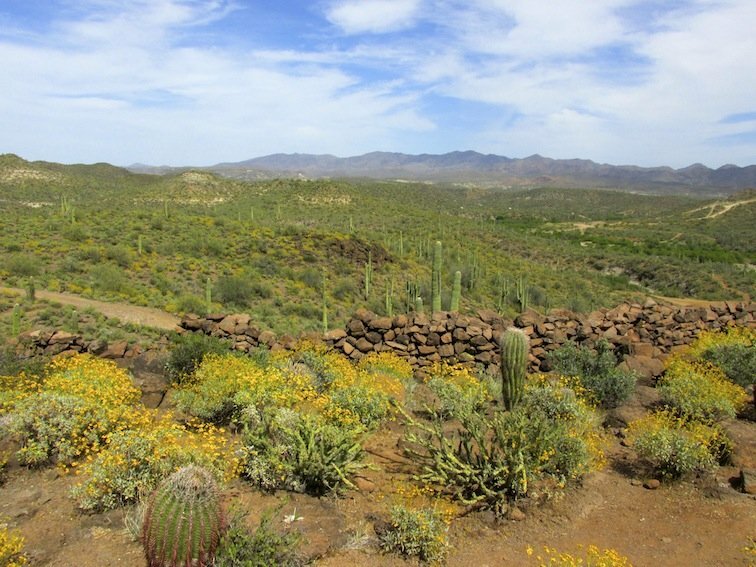 Have you ever been on an Arizona ATV desert tour? Lot of cacti out there in Arizona!